J. 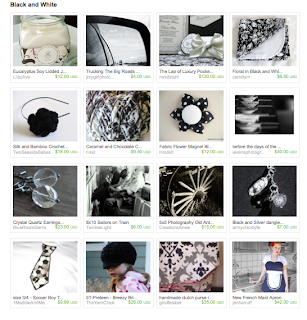 Stone Accessories: My first treasury east! You can click on the picture to be taken directly to the treasury so that you can check out all the fabulous artists featured. You can also search "Homefront" "Black" and "White" to find more lovely black and white items from the amazingly talented Homefront Team.